Professional care doesn’t have to cost a fortune. 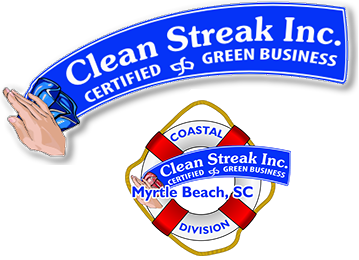 Clean Streak Inc., can provide you with a written estimate in advance of performing any cleaning related service. No high pressure sales or hidden charges. We pre-inspect all areas to be cleaned and offer helpful suggestions for restoring your carpet and fabrics to as close to their original condition as possible. If you decide you would like additional services such as deodorization or the application of soil and stain protectors, they can be provided at the time of the original cleaning service. Professional care is vital to protecting the major investment you’ve made in your carpet and fine furnishings. In fact, as a warranty requirement, most carpet manufacturers have strict guidelines on the proper care and maintenance of their carpeting. We are skilled technicians who have been thoroughly trained and tested on fiber identification and proper cleaning procedures. Our methods are safe and will not harm people or pets. These methods are also approved by carpet and upholstery manufacturers to meet warranty and maintenance requirements. Deep-down professional cleaning removes dirt, dust and contaminants. Your carpet and fabrics are left sparkling clean, providing a healthier indoor environment.